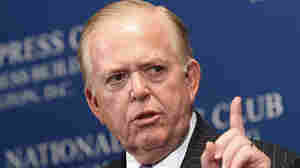 March 3, 2011  The Fox Business Network will broadcast a new evening show hosted by Lou Dobbs, with a familiar name and time slot: Lou Dobbs Tonight at 7 p.m. At CNN, Dobbs clashed with executives over his pursuit of such topics as President Obama's place of birth. 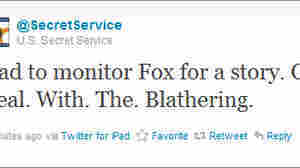 November 11, 2010  He left CNN after clashes over some of his commentaries. Fox Business says it welcomes Dobbs' opinions and will sprinkle them throughout its programming. 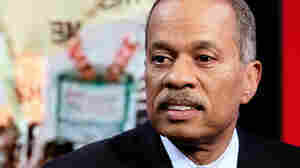 October 21, 2010  After a decade with NPR, the network terminated news analyst Juan Williams for comments made on Fox News. 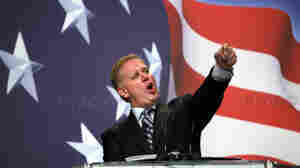 Williams' controversial comments on Fox were not an isolated incident, but NPR owed him a chance to explain himself. 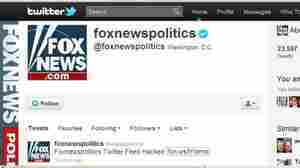 "Don't Take Mara Off of Fox"
October 23, 2009  NPR Political Editor Ken Rudin said a "boneheaded" thing on Talk of the Nation on Oct. 21, and now he's apologizing. The ACORN Videos: Did NPR Ignore Them? August 6, 2009  NPR political correspondent Mara Liasson went too far on Fox News when she equated problems with the Cash for Clunker program to a "mini-Katrina." That reflects poorly on NPR.